Scott, prior to EBC School, worked in both the adult and juvenile justice systems, where he motivated, supported, and encouraged others to develop skills to support independence and safety within the community. 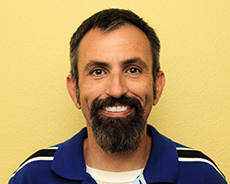 He brings knowledge and understanding of behavior to EBC and seeks to develop and implement successful strategies to support students and their families at school, as well as home. Scott is currently EBC’s Compliance Program Manager, Medication Administrator, and In-Home Parent Behavioral Support Trainer.